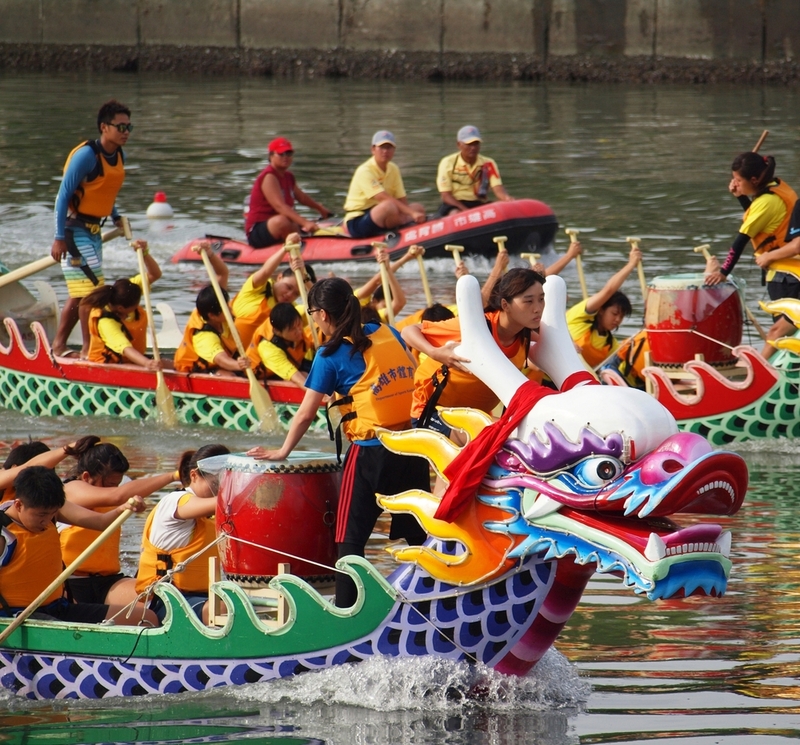 Can Dragon Boating Cause Muscular Imbalance? Answer: Great question, Julie! Since I’m not too familiar with the awesome sport of dragon boat racing other than enjoying it as a spectator, I decided to do a little research on what the training entails. It looks like coaches generally take one of two approaches: a) ensuring that the rowers regularly switch sides or b) having the rowers train only on their stronger side. Dragon boating engages several major muscles in your torso, including your deltoids (anterior, posterior and lateral), scapula, rhomboids, erector spinae, latissimus dorsi, and abdominals. But, you probably knew that already. My answer to your question may prompt a few dragon boat coaches to scold me, but I’m going to give you the lowdown anyway. Paddling on one side only over an extended period of time is indeed likely to lead to a muscular imbalance and may have a detrimental impact on your spinal alignment and posture. In fact, it is one of the leading causes of injury among rowers and can easily send you crawling to the chiropractor’s office. A study published in 2012 looked at the relationship between posture and biomechanical parameters of the Iran Women’s National Dragon Boat team and concluded that there was a relationship between dragon boating and lumbar scoliosis, as well as uneven shoulders. Now, that is only one study and we therefore shouldn’t automatically conclude that this is a typical result, but it’s something to consider. I understand that you love your sport and don’t want to give it up. The fact is, nearly every sport carries risks, but in my opinion, the benefits often outweigh the risks. So, what can you do? First, see if there is a team you can join which will allow you to train both sides! Second, you should be hitting the weight room regularly for some full body strength training. Aim to lift weights 2-3 times a week in a series of phases. For the first phase, you want to perform bilateral exercises- using both limbs simultaneously to move a load. For the second phase, you’ll work each side separately, alternating the load. When you do this, pay close attention to which side seems to be more dominant for each muscle group. Be sure that your stronger side doesn’t begin to overcompensate for the weaker one- if that happens, lower the amount of weight you are moving. For the final phase, you’ll want to gradually spend a bit more time working just the muscles of your weaker side. Give each phase 4-6 weeks and take notes on your progress. Now, there are a few training methods I’d like to recommend to you to prevent further muscular imbalance while strengthening your core, back, shoulders and arms. The first is battle rope conditioning. If your gym doesn’t have battle ropes, then you can easily pick up one of your own and strap it around a tree or basketball post. I guarantee you’ll get funny looks from your neighbors! You don’t need to invest in a fancy rope that the sporting goods stores are selling for $200+. You can just go down to a shipping supply store here in Singapore and ask for a 50’ foot, 1 inch or 1.5 inch polypropylene 3 strand rope. It will save you a lot of cash! If you need some assistance with form and exercises, I use both the battle ropes and Olympic rings regularly in my training sessions. Hope this helps. Happy rowing!